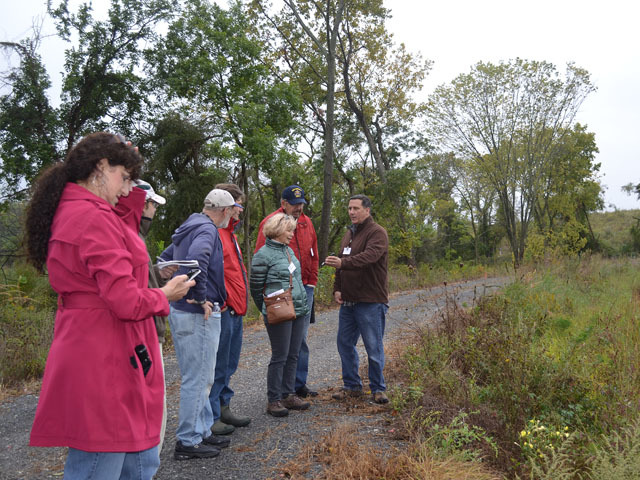 Members of the North Haven Citizens' Advisory Panel and other key stakeholders tour the site on October 1, 2016 to view the completed East Side ecological restoration area. 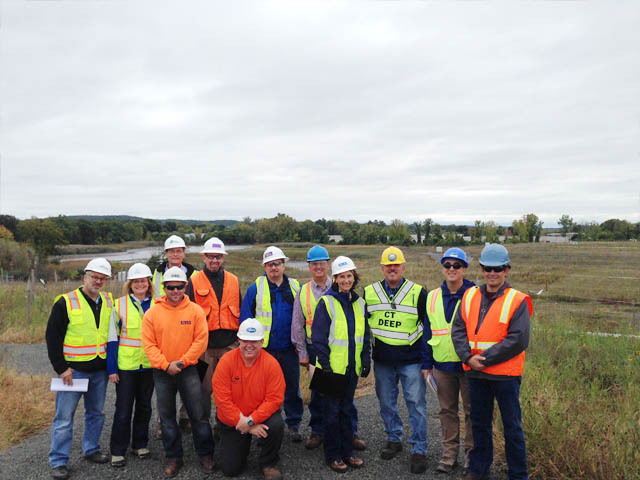 EPA and CTDEEP visited the site on October 1, 2015 to view the full-scale ISTR operation and tour the east side restoration area, which is now complete. 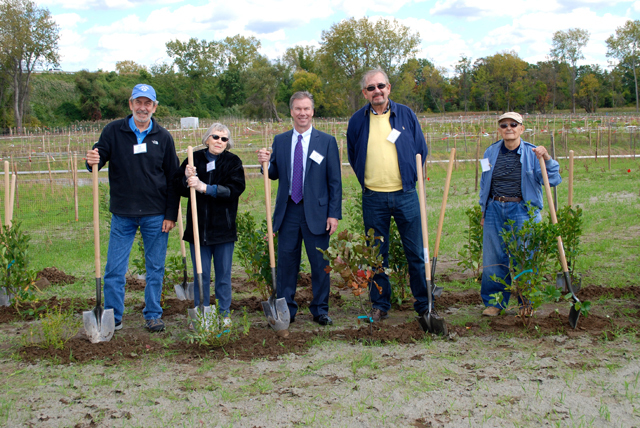 Members of the North Haven Citizens' Advisory Panel participated in ecological restoration activities on the site on October 6, 2014. On March 31, 2011, U.S. Environmental Protection Agency (USEPA) and Pharmacia & Upjohn Company LLC entered into an updated Administrative Order on Consent to facilitate site remediation and return the property to productive use. The site-wide remedy will provide long-term protection to human health and the environment and will return the property to productive use. A status report on the Corrective Measures Implementation progress is provided here. Information regarding current activities and completed activities is regularly posted on this website. Remediation design and construction activities are being done with oversight by USEPA and Connecticut Department of Energy and Environmental Protection (CTDEEP). Construction activities are being performed under applicable Town of North Haven regulatory permits and approvals. Pharmacia & Upjohn Company LLC provides quarterly and annual updates to USEPA and CTDEEP documenting progress at the site. The 2016 Annual Progress Report, is provided here. The digital library containing the entire report, including tables, figures and appendices is available for viewing at the North Haven Memorial Library located at 17 Elm Street, North Haven, CT.
A groundwater extraction system controls the migration of groundwater through continuous pumping and directs groundwater for treatment in the highly sophisticated, state-of-the-art, onsite treatment plant. Groundwater results are submitted to USEPA/CTDEEP on a regular basis and are on file in the public repository.